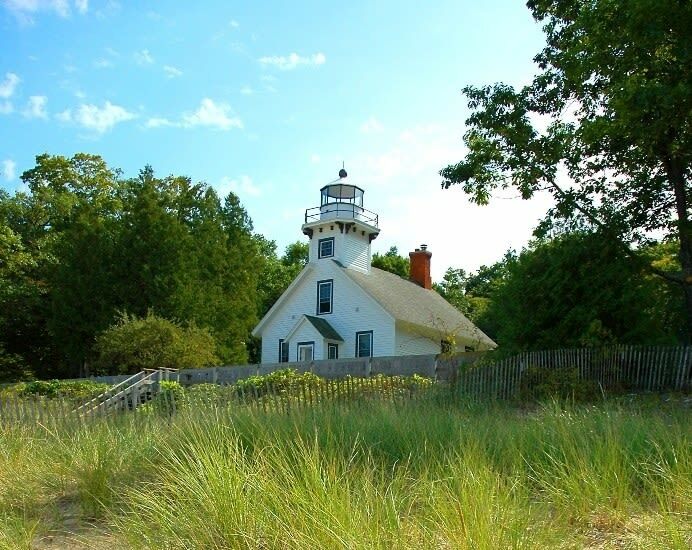 The picturesque Mission Point Lighthouse was built in 1870 to warn ships away from the dangerous shoals extending into Grand Traverse Bay at the tip of the Old Mission Peninsula in Lighthouse Park. It is the centerpiece of an attractive park with popular beaches, historical exhibits, picnic facilities, and extensive hiking and skiing trails, and is a popular destination with visitors and locals alike. Mission Point Lighthouse gift shop/museum is open to the public daily, May-October from 10am - 5pm and in November, only Friday, Saturday, and Sunday from 12pm - 4pm. Adults - $4, Children - $2, Children 5 and under - free. 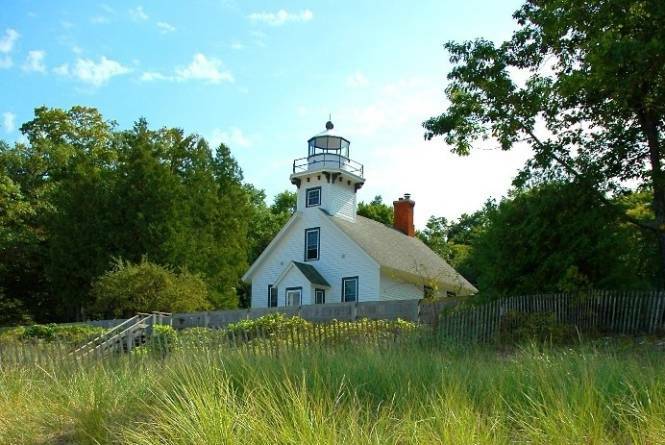 Available at no charge is the Hessler Log Cabin, a restored turn of the century log cabin on the lighthouse grounds. The lighthouse has a keeper program. See our website for details: http://www.missionpointlighthouse.com/.